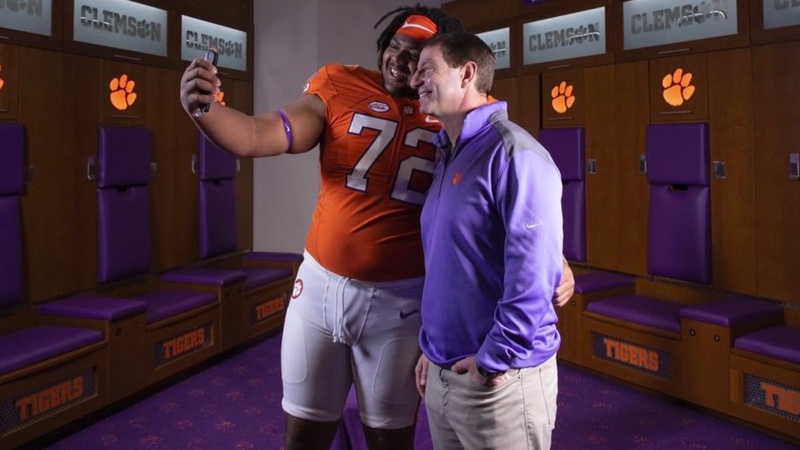 In a sport won and lost in the trenches, Clemson's success recruiting linemen in the 2020 class puts them in prime position for the future. The skill position areas in Tiger Town get all the glitz and glam for good reason, as Clemson succeeded with both the run and pass in 2018. Receivers Justyn Ross and Tee Higgins combined for 9 receptions for 234 yards and two touchdowns in the Tigers’ National Championship triumph over Alabama. Travis Etienne and Tavien Feaster shredded the Tide on the ground and Trevor Lawrence took care of the rest, throwing for 347 yards and three touchdowns. To continue reading, you must be a Clemson Sports Talk Premium subscriber. Linebacker thinks class could be "the future of the program"